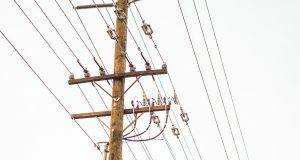 WASHINGTON – Consumers Union today praised a legislative proposal introduced in the Virginia State Senate to protect utility customers and ensure fair practices by utility companies across the state. The proposal by Virginia State Senator “Chap” Petersen aims to restore the balance of power between Virginia residents and the large monopolies that influence policymaking in their favor. In 2015, Dominion Energy Virginia lobbied to pass a bill to freeze utility rates in the name of protecting consumers from the Clean Power Plan. That bill primarily served to freeze refunds that were owed to their customers after the utility overcharged its ratepayers. The average refund owed to each household is approximately $125 annually, since the freeze was enacted. The 2015 bill also limited the regulatory authority of the VA State Corporation Commission, which is responsible for regulating monopoly utilities and ensuring fair prices for consumers, while allowing a generous rate of return for utility companies. Repealing the freeze on rate and profit review for regulated monopolies. Expanding the State Corporation Commission (SCC) to include consumer representation. Allowing for funding independent analysis in proceedings before the SCC. Banning regulated monopolies (public service corporations) from contributing to candidates or PACs. Expanding limitations on lobbying by former officers and elected officials of the Commonwealth.